Truck Accident Personal Injury & Wrongful Death Accident Lawyers for Riverside County, California! Need Trusted Attorneys and Legal Experts To Handle Your Personal Injury Or Wrongful Death Truck Accident Claim? Riverside truck, car and motorcycle accidents cause many serious injury accidents, occasionally causing death with wrongful death accident claims. With huge experience of more than 40 years in handling truck and other wrongful death and personal injury claims, our team of accomplished and trusted lawyers and legal experts are ready to handle your personal injury or wrongful death accident case. Although we are very caring and compassionate towards our own clients, we employ an aggressive approach against insurance companies to get maximum compensation for our clients. Insurance companies have trained adjusters, investigators and defense attorneys on their side. Level the playing field, don’t give them any statements but call us now at 1.866 INJURY 2 or 818-222-3400 (after hours dial “1”) or click here to reach us 24/7 to get your absolutely FREE consultation! 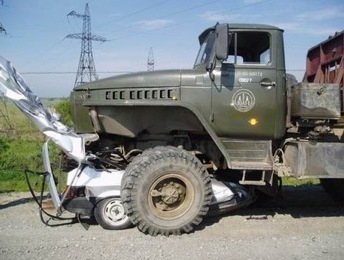 The truth is, if you were injured in a truck collision accident, you deserve every cent to which you are entitled! Medical Care: Medical care is something which needs urgent attention after an accident. We find doctors and other medical experts for our clients to attend any injury and provide treatment and supervise recovery process, without seeking anything until your case is resolved. We all wait for payment so you do not need worry about money during this difficult time for you. Additionally, we help you get MRIs, CTs, medications and other medical procedures without paying a penny until your case is resolved. Vehicle Repairs: In case your vehicle needs repairs after an accident or it is a total loss, we help you in that regard as well. We also help you get free loaners and rental cars! Transportation to Doctor: If your car is damaged and not drivable and you need help getting to your doctor, just let us know and we usually can get you needed transportation. Just let us know. Cash Advances/Emergency Loans: Dealing with an accident can turn out to be a rather costly matter and loss of income can further worsen it. Mindful of the fact, we usually can assist you procuring a loan or a cash advance. Why Chose Our Riverside Personal Injury & Wrongful Death Expert Lawyers to Handle Your Truck Accident Claim? Over 40 years experience handling truck accident personal injury accident claims in Riverside and all of California. Our personal injury & wrongful death attorneys and law firm have successfully resolved thousands and thousands of injury accident cases. We have the knowledge, experience and success you need and deserve! Success of more than 95%! Served in the capacity of Arbitrator at the Los Angeles Superior Court. Click here to reach us for a FREE truck accident case or wrongful death case consultation. For more details about our experienced personal injury lawyers, check our lawyer profiles. Please also see some of our client Testimonials. Also, for general advice on what to do (and NOT do) if you had a truck accident injury accident, please see our Truck Injury Accident Web Site to gain an insight into the truck accident injury claims process; and for FREE specific advice about your own particular truck accident collision, please just call us now at 1.866 INJURY 2 or 1.818-222-3400 (after hours press “1’) or just click here 24/7. You will be very glad that you did!. Riverside truck, car and motorcycle accidents cause painful injuries and property damage. 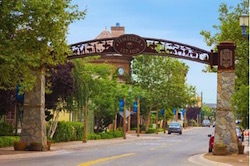 Counted among the fifty-eight counties in California, a population of 2,189, 641 reside in Riverside County, according to the 2010 United States Census. 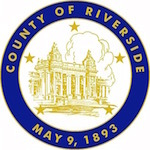 Riverside covers a considerable region of the Riverside-San Bernardino-Ontario and CA Metropolitan Statistical Area. Riverside County stretches across a total area of 7,208 square miles, from the Greater Los Angeles area and running to the Arizona border. The Coachella Valley region of Riverside County is home to the resort cities of Desert Hot Springs, Palm Desert, Palm Springs, Indian Wells and Rancho Mirage. Also, a major part of Joshua Tree National Park falls within Riverside County. 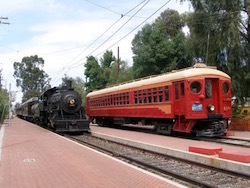 A large number of tourist attractions are scattered across Riverside County such as Living Desert Zoo and Gardens, Palm Springs Desert Museum, Western Science Center, Orange Empire Railway Museum, Orocopia Mountains, Temecula Valley AVA Wine Region, Mission Inn, and March Field Air Museum, among others. For our quick and easy consultation, fill-out the details in our contact us form and tell us about your Riverside County, CA truck accident or other injury accident. We provide FREE consultations and there is NO Fee until You WIN! Yes we work on a contingency fee basis on truck and other accident claims in Riverside and all of California so there is NO reason not to contact us now.